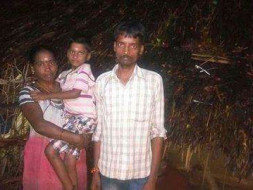 This is about a 7 yr old kid named Munji Dinesh kumar the only son of Mr Munji Durga Rao and Radha, Dinesh was a happy kid cherishing his small world until recently when tragedy suddenly struck and changed the lives of the family for every with a diagnosis of Anemia. This happened 6 months ago. 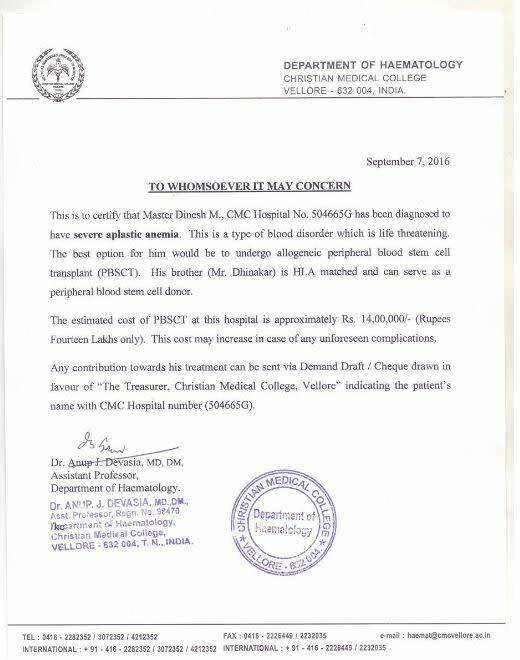 The doctors at chennai christian medical hospital has concluded that the treatment is a total blood transplant and the entire procedure costs around 14 lakh (Documents from hospital and news articles are attached here) which is a huge amount for the family as the parents are agricultural labourers and depend on daily wages for survival. 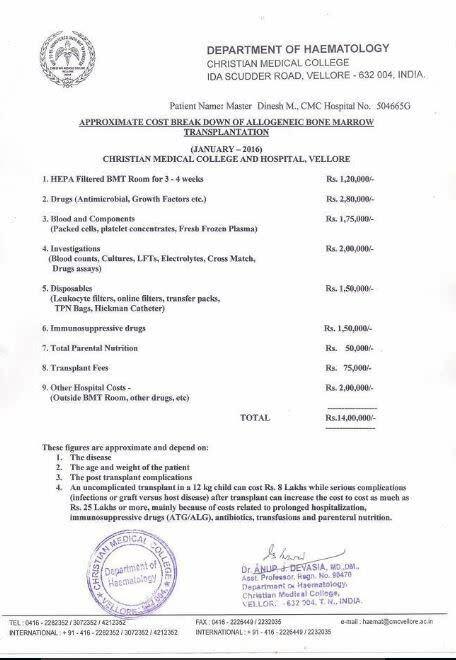 Moved by the family's plight the christian medical hospital has promised an aid of 6 lakh ( 3 through PM relief fund and 3 from TATA relief fund) and asked the parents to come up with the remaining amount as soon as they can to begin the treatment. 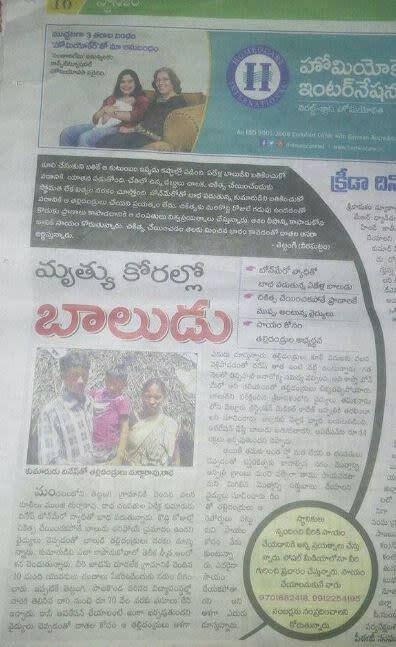 The family has spent all their savings and borrowed from near and dear and barely could come up only 4.6 (3.3 lakh) raised from family and friends and 1.3 from donations from friends in USA, So we are in need of 3.4 lakhs . Since this is time sensitive we are urging your support to kindly donate or at least share the campaign on your Facebook page to spread the word. We greatly appreciate your donations and efforts in spreading the word. Together we can help Dinesh get well soon and give hope to his family. Let's make this happen. Every small donation counts so please do not hesitate to contribute anything you can whether it is rs 100 or $10. IT HELPS!